Flash website design is a simple and effective tool to increase the attraction quotient of any website. Web pages, designed with Flash, instantly grasp the users’ attention with stunning visual elements and eye-catchy presentation. It makes your site look more real and appealing to your audience. The web designers at WeblinkIndia, a flash website designing company, incorporate technical expertise and creativity into designing Flash pages that make the virtual world come into reality. Flash Website Intros can be highly stylish with amazing animations and even interactive capabilities. You can select a Flash Intro as per the overall theme of your website and influence the visitors to a significant extent. Our Flash Web Designs are simply amazing and deliver high-quality Web graphics with rich User Interface. Our exceptional flash flipbook design services meet the digital inventions that are changing the way we read effectively. EBooks are now facilitated with the flip page along with the sound effect offering the users almost a “real” reading experience. This uplifts the reading experience of all the users. Our flash flipbook encompasses following features. If you think that a preconfigured flash template requires a bit of personalization to be able to present your product or service in an effective manner, you can avail our Flash Template Customization Services. We design powerful flash templates that are attractive, interactive, versatile, optimized for fast delivery of graphics on the screen and suitable for cross platforms. Based in Delhi, SAI MAG WHEELS imports alloy wheels from the world\\\'s most renowned manufacturers and suppliers. The company has an extensive network across India and is capable of providing uninterrupted and consistent supply of alloy wheels in customized specifications anywhere in the country. Gone are those days when we only had some text and image on our web page. With Flash and other allied applications, the entire look of our web page has changed. With the integration of flash, we can now add eye-catching videos, animations and other types of digital content easily. organizing a digital quiz for the students is now almost impossible without Flash web design! The websites of many educational outlets are immensely dependent on Flash. Moreover, Flash design is a wonderful tool that helps the websites look way more interactive and innovative. Many functions can be added, which make the website learner-friendly. There is no doubt that people get more attracted to an aesthetically affluent website. Instead of the traditional style web design page, people take more interest in visiting a website having Flash content. Furthermore, a major chunk of users online like watching animations, videos, and other kinds of digital content over simply reading some text, and flash offers it in its best form. With the help of a Flash site, you get an opportunity to present your website in more than one way. You can easily blow away the textual style to engage more visitors. You can also let all your visitors enjoy a virtual tour of your website. All this have been made possible due to flash, such features attract more visitors to the website. Creating a web page with Flash content is not easy, but economical as well. All you need to know is how to code a website using Flash editing tools to bring out a web page rich with Flash content. The Flash content is capable of running on all the major browsers, and can be viewed on any browser out there. All you have to do is install Adobe Flash Player on your computer and you can enjoy flash content on all the browsers. 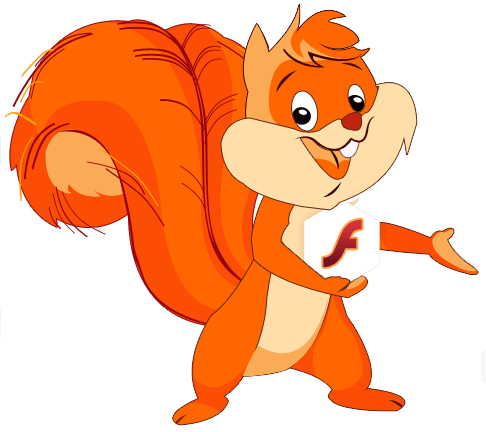 It has been quite a long time since Flash is enhancing the web experience. Lot of smartphones support Adobe Flash, which leave a lot less to do for the designers coming up with flash-based sites for mobile. Flash is one such web design that supports a wide number of handsets. We offer a number of flash design services like flash intro design, flash banner design, flash header design services and a lot more. High-tech infrastructure support and superior flash design expertise to produce feature-rich designs.